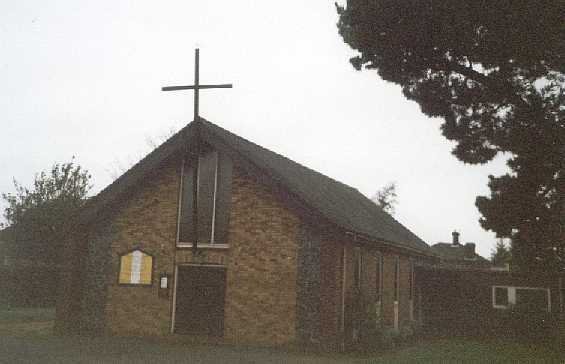 Before the Reformation, Leiston's Catholic Priests ministered at St Margaret, to the west of the village, now in the care of the Church of England, and completely rebuilt in the 1860s. Today, we'll find them at All Saints, which is on the road to Aldringham, out in Leiston's dreary suburbia. It is actually a daughter church to Our Lady and St Peter, Aldeburgh, some three miles away. Because of this, it sits rather folornly on its own, without a presbytery to keep it company. Stormy day in Leiston. Probably, it looks quite different with the lights on. And, as there is no priest at hand, you can't get in, because the church is locked, which no Catholic church should be; although I should add, in fairness, that Aldeburgh is kept open. The west end, so to speak. A decent building, trying hard, but rather stuck in the 1960s. The building is a simple, modern one, probably from the early 1960s. The tall wooden cross is a landmark, although you would not find it easily from the centre of Leiston if you did not know where it was. The sign in Papal colours was most striking on this grim, rainswept day. Yellow bricks are not typical of east Suffolk, making this look more like something from the suburbs of Cambridge or Peterborough, but it is well-meant, and pleasant enough. The large window at this end suggests a triple lancet. Or, at least, it did to me. The strips on the ends of the entrance face were probably meant to echo Suffolk flintwork, but look uncomfortably like pebble-dash. It would be harsh of me to say that this building looks its age, but I would also say that this is not necessarily a bad thing. The building is aligned towards the north. Catholic churches like this are little outposts of a greater glory, and each has a story to tell. All Saints' story is one of a diverse community striving together to produce something beautiful for God. Parishioner Mark Pattinson tells me that the church was built by the combined efforts of locals and mainly Irish workers during the construction of Sizewell A power station. Up to that point, the congregation of Leiston had to make do with a wooden hut. As Mark says, this reveals something of the flavour of the Leiston community itself, historically tolerant and welcoming to outsiders. And what is a town if not the people who live in it? Leiston may not have the architectural splendours of neighbouring Aldeburgh, but Mark remembers the welcome his grandfather received as an Italian emigrant, and commends the friendliness of the place to us. The same could not be so easily said of Aldeburgh, I suspect. I am glad that I know something of the history of this little building. 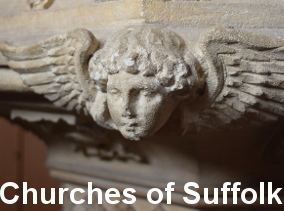 Otherwise, a locked church on the edge of this undistinguished little town might lead you to conclude that the Church in Leiston is beleaguered; but in fact this is a busy, thriving Christian community. 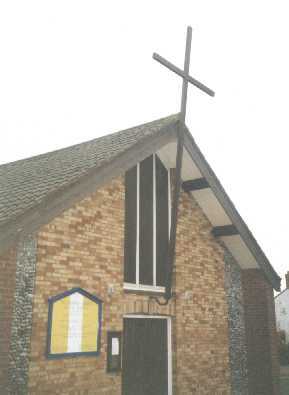 All Saints, Leiston, can be found on Seaward Road, to the south of the town. Follow the main street towards Aldringham. It is kept locked, and the Parish Priest lives at Aldeburgh.